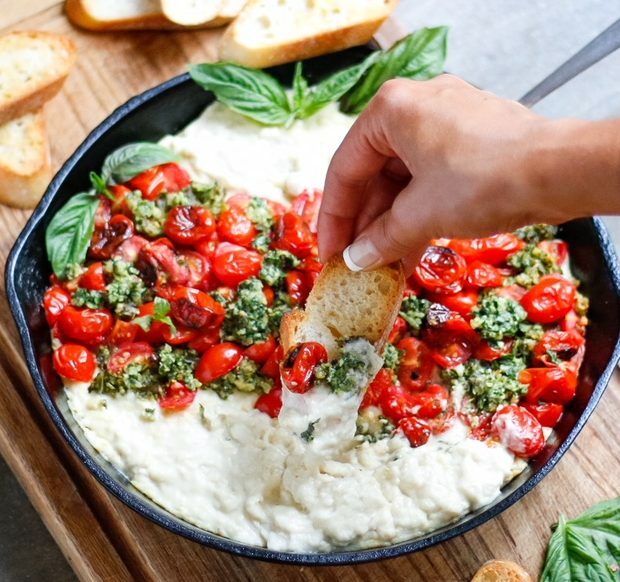 This Hot Caprese Dip is the love child of two incredible hors d’oeuvres: white queso dip + caprese salad. 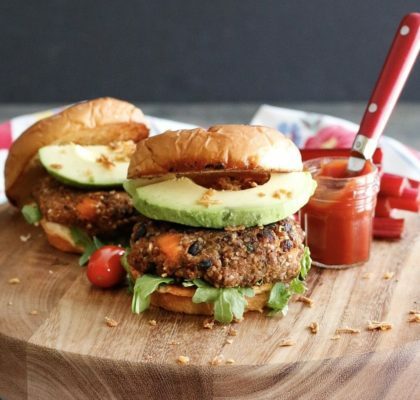 I stumbled across this appetizer on What’s Gaby Cooking‘s blog, and instantly knew I wanted to veganize it. This was a last minute decision to make the day before Christmas Eve, when I was frantically scrambling for something savory to make for our holiday appetizer and dessert party, and while I was simply thinking about my tastebuds, I didn’t realize how festive the colors would be until I threw it together! Win Win. 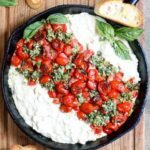 The base of this Hot Caprese Dip is made from cashew mozzarella- a gooey, bubbly rendition of the real cheese that is just begging to be scooped up with crusty bread or a grainy cracker. 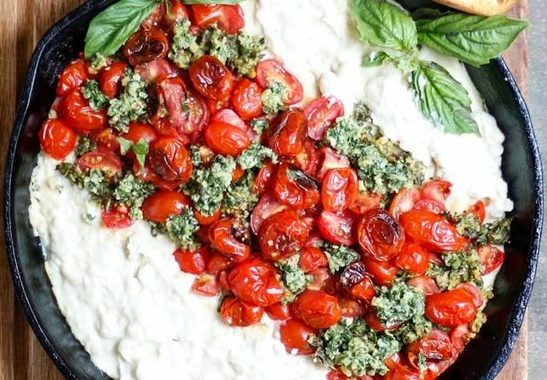 Then pesto is swirled in to the cheese sauce (literally my favorite- pesto goes good with EVERYTHING) and the tomatoes get all blistery in the oven, revealing their natural sweetness. I’m telling you, this appetizer is a game changer- especially when it comes to “fooling” people into eating vegan food. 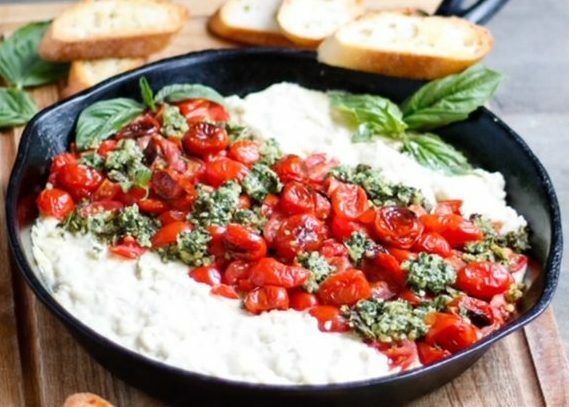 The holidays may be over but I have a feeling I will be making Hot Caprese Dip for parties throughout the entire year now! I can especially guarantee this will also be on the menu for my Superbowl party this year, along with my Ultimate Guacamole. Mmm Mmm…I’m getting hungry just thinking about that combo. 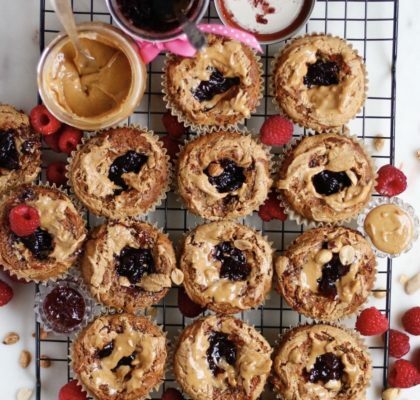 OK- here’s the recipe, I can’t wait to hear what you think! Soak the cashews in water overnight or up to 24 hours in advance, until they're very soft. If you forget to soak them, you can simply boil the nuts for 10-15 minutes the day of. The softer the cashews are, the silkier your cheese will be. Preheat oven to 425F. Combine all the mozzarella ingredients in a high powered blender and mix until very smooth (2-3 minutes)- It will be very runny. Pour liquid into a sauce pan over medium-high heat and cook until it starts to clump and thicken, stirring constantly. 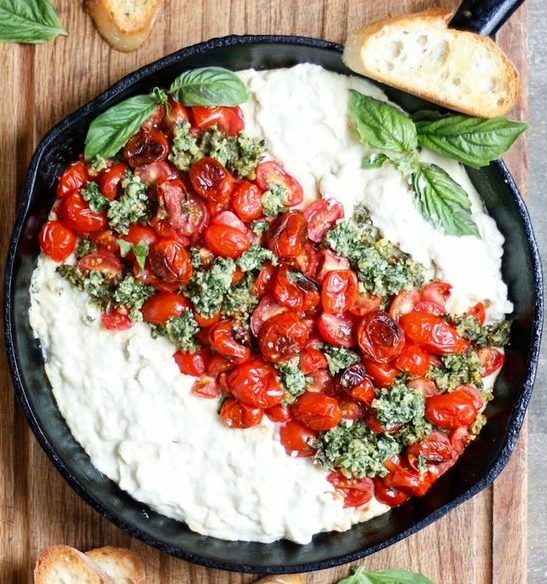 Pour the mozzarella into a 12-inch cast iron skillet. Place all the pesto ingredients into a food processor and pulse until smooth. 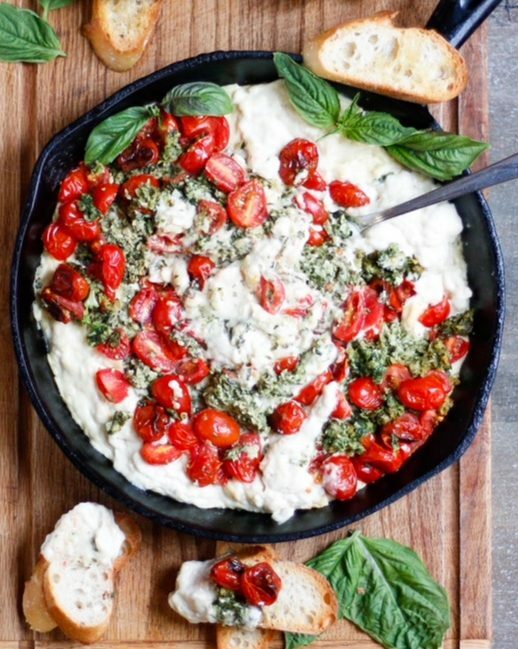 Stir the pesto and chopped tomatoes into the mozzarella, and bake the the entire pan 15-20 minutes until hot and lightly bubbly. Serve hot, but before you do, give the dip a big stir, scraping down any crusty edges. 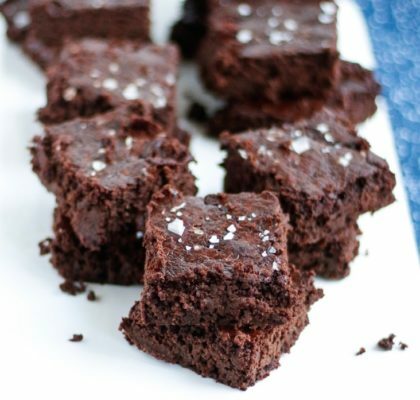 If coupling with French bread, slice and place in the oven for the last 5-8 minutes of baking to toast. Note: To reheat, mix well then simply place back in the oven at 350F-400F for 10-15 minutes. *Arrowroot is a natural thickener. Cornstarch will probably work just as well, all though I haven't tried it personally.